The little shag has variable plumage; this is the white-throated form or morph. There are also pied-morph and intermediate-morph birds. 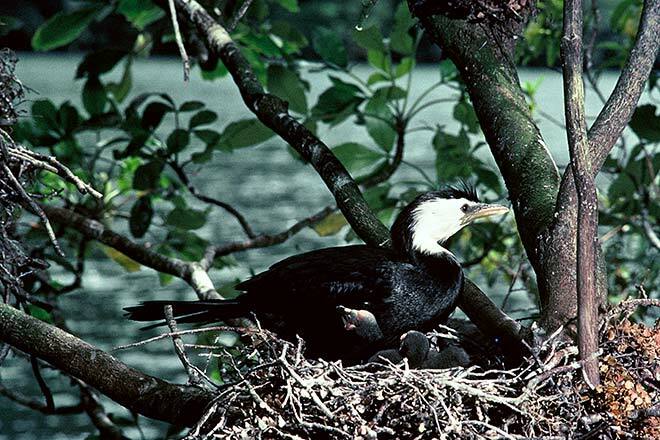 Little shags nest in colonies near water, sometimes with other species of shag, or other water birds such as herons and spoonbills. They feed in both fresh water and salt water.